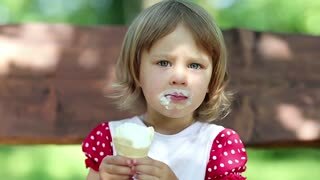 Search Results for "lick ice cream"
Child in hat licks ice cream. Girl is eating delicious cream ice cream. Ice-cream multicolored on a stick with a strawberry taste is a favorite summer dish of children. Sunset rays shine in the lens. Young beautiful woman with long hair licks ice cream. Portrait of three cute funny girls in hats licking ice cream sitting on the bench indoor.